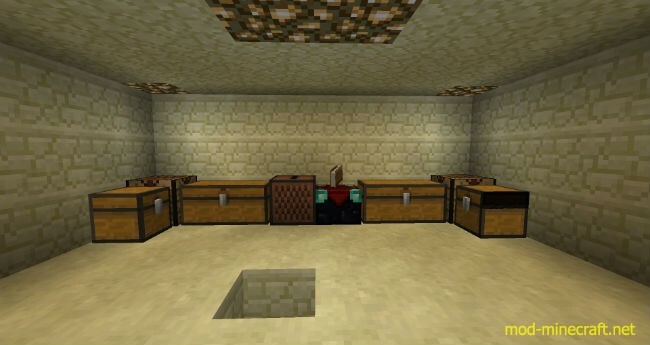 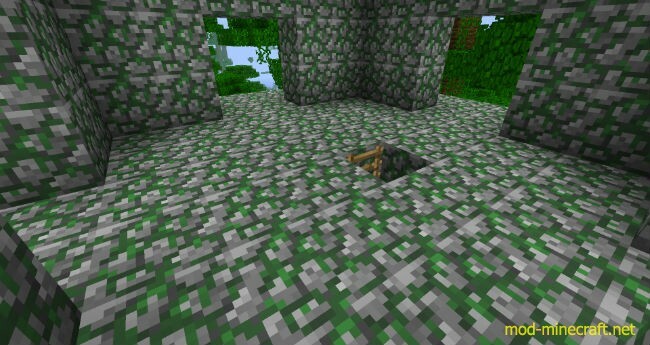 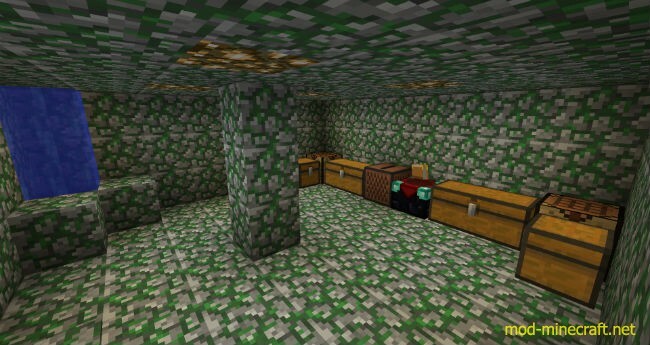 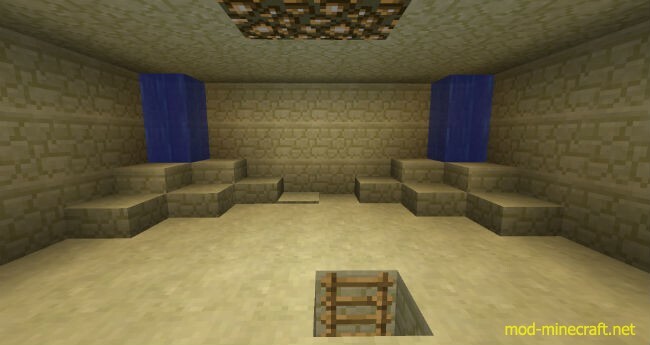 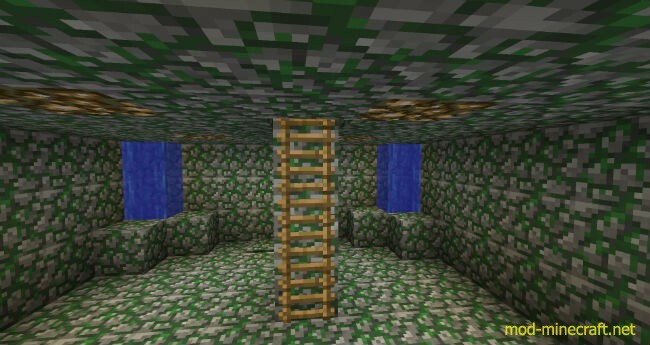 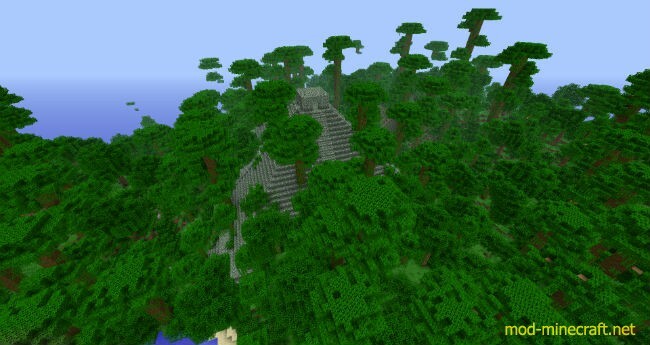 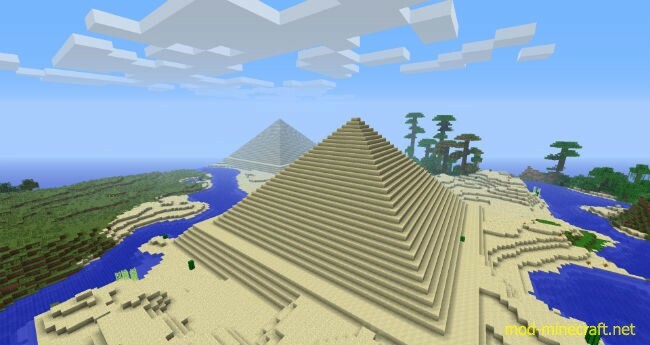 This mod generates pyramids into the world, currently only inside deserts and jungles. 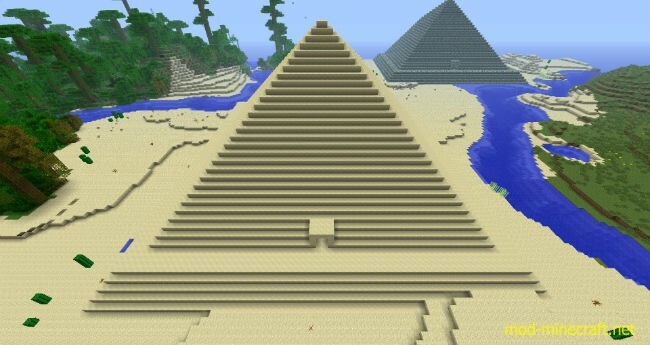 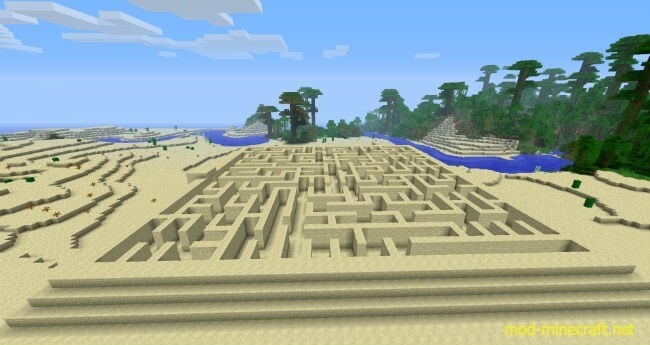 Inside these pyramids you will find a stack of randomly generated mazes. 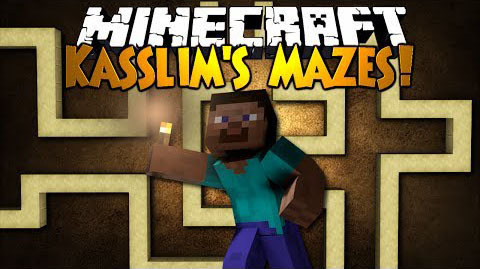 And on top of those mazes, there is of course a treasure.